Along the National Highway of Laguna particularly at the corner of Parian, a fairly large sized lugawan is in the offing. Opposite that of a popular fast food franchise, this lugawan (congee) holds its own as they vie for diners at this busy intersection going to the South Luzon Expressway (SLEX). Although not airconditioned, this place has a large facade thus providing good circulation. It was a hot humid day during our visit but it was cool and dry in the premises. 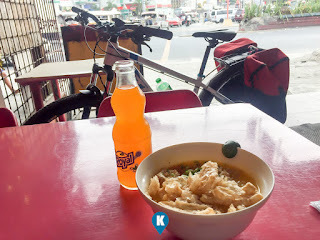 I chose this place as I was on my bicycle and I wanted to sit near the entrance where my bike was parked. I chose their Lugaw Royal Special (Php65) which I assumed is their best seller. 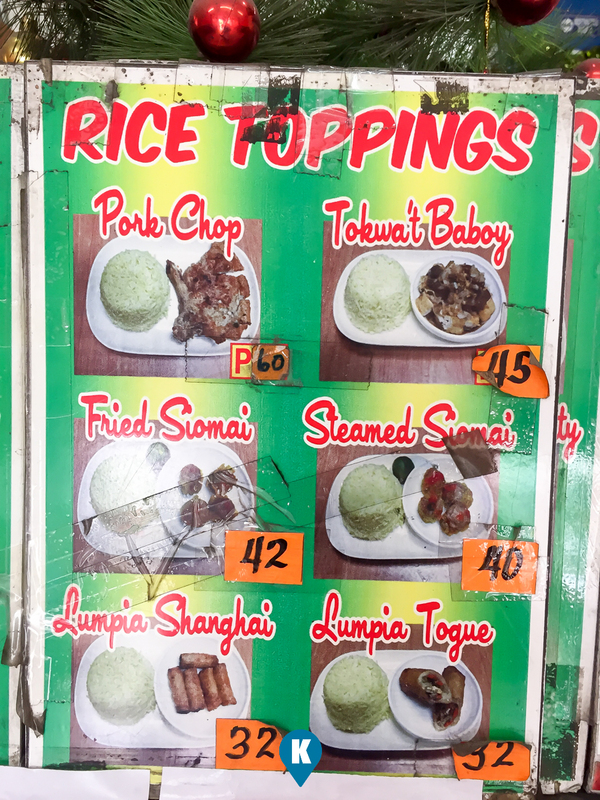 Although there were other dish combinations available, I went for their lugaw. Its a self service restaurant and you have to give your order and payment to the counter. As all orders are prepared upon request, you have to sit down and wait for it once done. Waiting was quick as my lugaw came in just minutes. 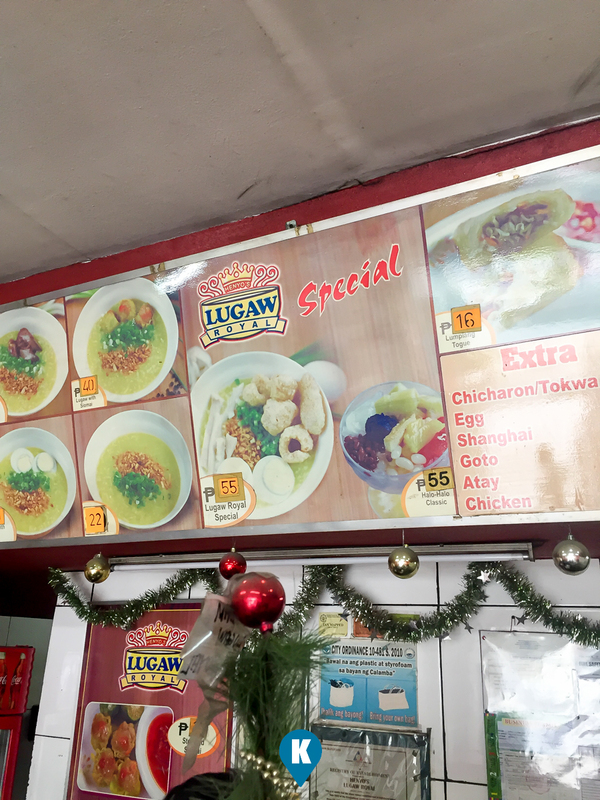 Lugaw is prepared on hand, kept warm I guess in kitchen and ladled into a bowl, then sprinkled with toppings. Sprinkled on top were the usual chopped meat and green onions. A handful of them much to my surprise and plus a sizeable amount of crispy pork chickaron (pork rinds). Wow all that for Php55. 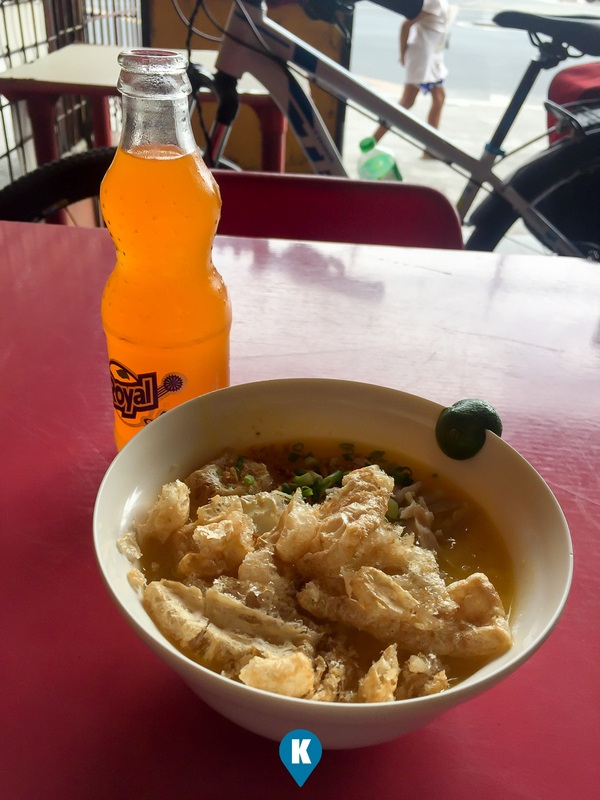 And to think my bowl was big as well, holding all my lugaw (congee). Serving size is really that big. 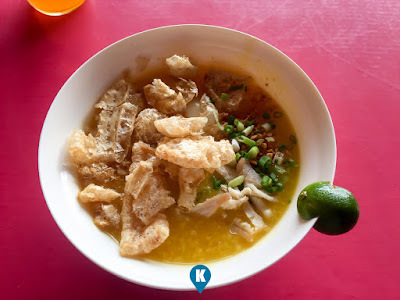 Congee is congee so don't expect it to be tasting like lechon or crispy pata. 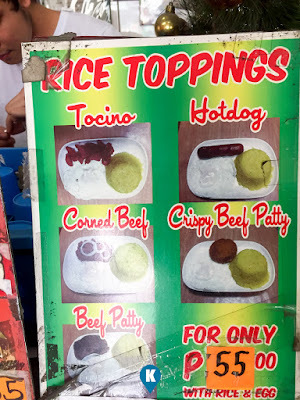 Although it had a nice taste to it already (with secret ingredients for sure), you still have to season it with the Calamansi that came with it. Among the condiments available were soy sauce, fish sauce, chili, salt and pepper so you can further personalize your lugaw. So taste wise its okay for this hungry diner. Price wise, who can't say its cheap or affordable at Php65. 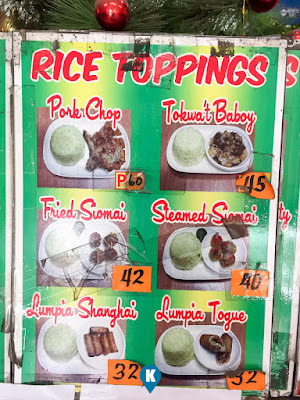 As per their menu, this price is already high considering their rice toppings averaged at Php50. No wonder this place can hold its head up high in terms of number of diners against the fast food giant across the street. 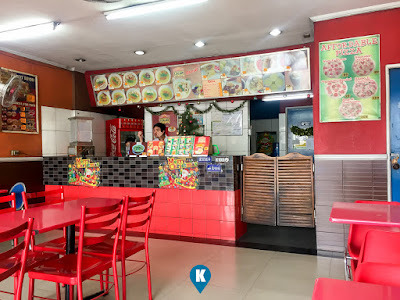 If you are going to Calamba via National Highway from Cabuyao, and you get hungry, this is a great place for a budget conscious diner like me. They are really located at the intersection so parking here can be a bit tricky. 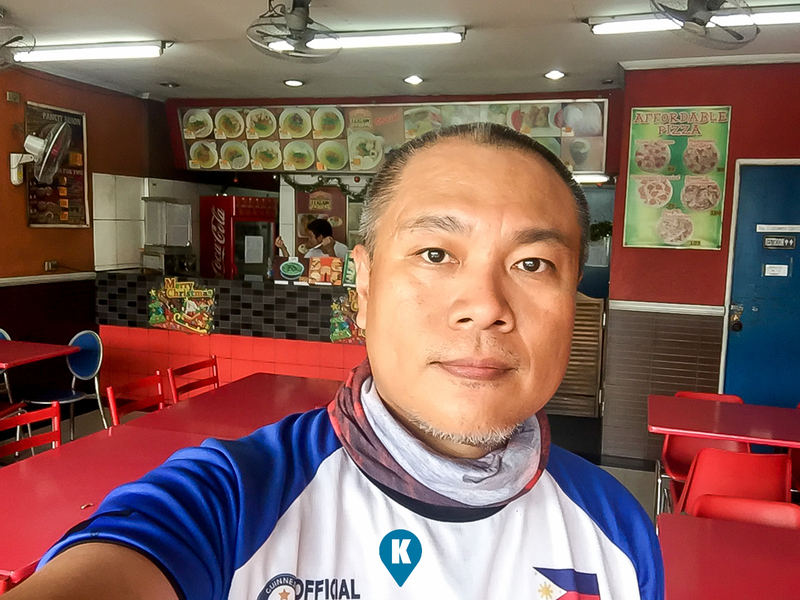 Its easier if you come in from Calamba or from SLEX.